Are you moving out of your rental home? If you do not have enough time to clean your house to your landlord’s standards, don’t stress! With us at YPC Australia, moving day will be made easy. We are the professional end of lease cleaning service providing detailed and extensive cleaning services across Melbourne. If you need end of lease cleaning, we can be called out to Essendon, Footscray, Southbank and Port Melbourne. Our team have gone through extensive training methods to ensure that we can give you the high-quality service that people are after, and ensure that you leave your rental property knowing that your landlord will be happy in how its left. Working to real estate procedures, your clean will meet all standards set out and allow you to feel comfortable in the prospect of getting your bond back. Nothing will be left behind to diminish your character, with our cleaners moving through your house with expert knowledge behind them. Using state of the art cleaning products, our team will be able to move any dirt, dust, grime and build-up that you haven’t been able to shift. No matter where you are located, from Essendon to Southbank, you will be able to hire our end of lease cleaning. Our team will work with you to ensure that we cover all bases with your clean. From bathrooms to bedrooms, kitchen, and living areas, we will ensure the house will be left clean and tidy. Our expert team know how to clean to the highest standard, and will ensure that the house looks as good as new for the end of lease move out. Your end of lease clean will be perfect with our team at YPC Australia. To find out more about how we can help you with your end of lease clean today, or to book our service, give us a call on 03 8692 0012. Extending our services through Melbourne, including Southbank, Footscray and Port Melbourne any household can benefit from our services. 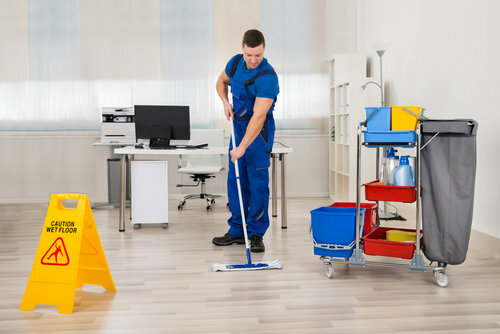 As well as end of lease cleaning, we also offer commercial cleaning, office cleaning, and more. From top to bottom, your rental property is going to be impeccably clean so that you can move out knowing that you’ve left it in the best state possible. Get in touch with us at YPC Australia today for all your cleaning needs!